The SoCal recreational player has made two WSOPC final tables and now has two gold rings. Spunt defeated a final table that housed Craig Varnell, Vincent Moscati and Ian Steinman. The World Series of Poker Circuit wrapped up its latest stop on Wednesday night with the completion of the WSOPC Bicycle Casino $1,700 Main Event. 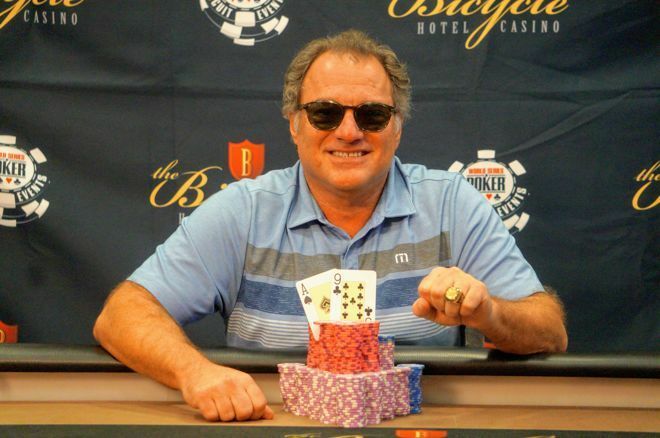 That tournament drew 547 runners and saw 58-year-old Southern California entrepreneur Steven Spunt prevail to win $174,055, his first gold ring, and a seat into the 2019 Global Casino Championship. "I really enjoy the game. Part of my retirement plan is to play more just because I like it." Others to cash in the Main event were MSPT champ Angelina Rich (14th - $10,590), Phil Laak (25th - $5,305), Ankush Mandavia (29th - $4,600), Michael Pearson (47th - $2,940), and Brian Snell (61st - $2,710). According to updates from the event, Spunt didn’t notch his first final table knockout until down to four players. That is when he called Jason Bral’s three-bet jam. Spunt had eight-seven and was flipping against pocket fours. An eight on the river spelled doom for Bral, who earned $58,405 for his fourth-place finish. David Lambard then finished off Steven Forman in third place to set up the heads-up match. Not long into it, Spunt doubled big into the chip lead after getting it in with middle pair and a gutshot against top pair. Spunt hit the straight and pulled out to a commanding lead. In what would be the final hand of the tournament, Lambard shoved holding the and Spunt called with the . The flop gave Spunt a flush draw, and he hit it when the dealer burned and turned the . The meaningless was run out on the river and Lambard had to settle for second place and $107,640 in prize money. The other player to win a seat into the 2019 Global Casino Championship was Peter Hengsakul, who failed to win a ring but had an outstanding series nonetheless thanks to a pair of scores. First, he finished runner-up in Event #10: $600 NLH for $22,525, and followed that up with another second-place finish in Event #13: $250 NLH One-Day for $9,955. 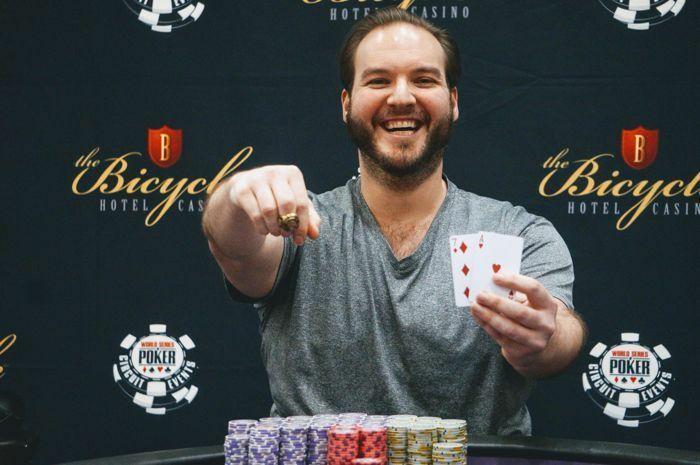 In the stop’s opening event, 36-year-old poker pro Chris DeMaci topped a field of 539 entries to win a $38,215 top prize and his first gold ring. “It feels great. You accomplish the goal. There’s nothing left to do." Another big winner was Sean Yu, who won Event #6: $400 HORSE for $9,600 and his fifth Circuit ring. Not only that, it marked his first non-hold’em victory. The next WSOPC stop is already underway at Mississippi’s IP Biloxi. PokerNews will bring you a recap of the stop’s $1,700 Main Event upon its completion. Photos courtesy of WSOP Circuit.